(Spoiler Alert: There is an Elvis sighting. When was the last time you really laughed? No really laughed? You know, that laughter which has you rolling on the floor with tears in your eyes? Hilarious laughter where everyone within earshot is laughing for no other reason than your joyful outburst is contagious? Life is delightful and meant to be enjoyed. God gave us eyes to see the silly and ability to react to it. I wish I could say I laughed daily. I wish I could say I had a sense of humor. I wish my heart had a “funny button” easily pushed, but I guess mine is on back order. But thankfully my life is far from bland as I married into a family full of laughter. With five brothers, a mother, a crazy sister ‘n law and nieces and nephews who can’t contain themselves when together, such joy and memories created all because a family loves to laugh. These five brothers together have no shame. Nothing is off limits. I relish the stories of them portraying Roman soldiers for years in an annual Easter production, stepping into each other’s scenes to stir a silent laugh. This family begs to laugh whenever they can. A faucet gets turned on and out pours the giggles; the knee slapping; the out of control. Jokes are only told in Spanish as for some reason they sound funnier that way; at least to them. If mama is laughing, you can just about bet one of her sons is nearby. Our hearts can still sense her laughter though she’s been gone the past few years. 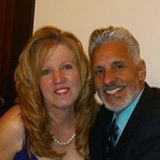 My husband David brings an “off the charts” joy to our marriage, kids and especially the grand-kids. These ten little lives light up when Papa enters the room and their world. Unfortunately when Papa’s around sword fighting, blowing bubbles, making crazy voices and totally preoccupied while chasing them, I am a “Debbie Downer” worrying about their safety. While Papa is a blast to our babies, I, the safety police am told to return to my squad car until I have learned to laugh. Oh that we all would learn to laugh. I remember leaving the house once for work in my business suit and fuzzy house slippers, thankfully being stopped at the mailbox by my husband and daughter. I remember taking an hour train ride for a job interview only to be mortified after the interview realizing I had red lipstick at the end of my nose, for who knows how long. I remember mall walking during the Christmas holidays questioning the snickers and stares, only to freak at the red thong hanging from my crocheted scarf I must have caught while shopping the stores. At least the stolen item was Christmas red. Right? Be the first to laugh at yourself. Be the first to laugh and take delight like a little child whose innocence is on full display at anything silly. With ten grandchildren, they have all taught this grown up grandmother to find her inner child and enjoy life at the smallest of levels, even swinging at the park with their Papa. As I stated earlier, this family I married into is one big circus of laughter. People want to sit at their table at weddings. People want to hang out with the “brothers” as they own the corner market of fun. The joke at our family gatherings is wondering when Elvis, the King of Rock and Roll, will make his appearance next. My husband David sang an Elvis song at our wedding altar. This same Elvis shows up unannounced throughout the years, and when he does, Elvis’ groupies let loose and stir up the crowd and excitement. Though Elvis and his lead guitarist are usually having a bad hair day, Elvis’ golden voice and fingers sporting his signature “ring pops” have the ladies and kids all drooling for his attention. DON’T FORGET THAT LAUGHTER IS ALWAYS KING. ELVIS HAS NOW LEFT THE BUILDING.